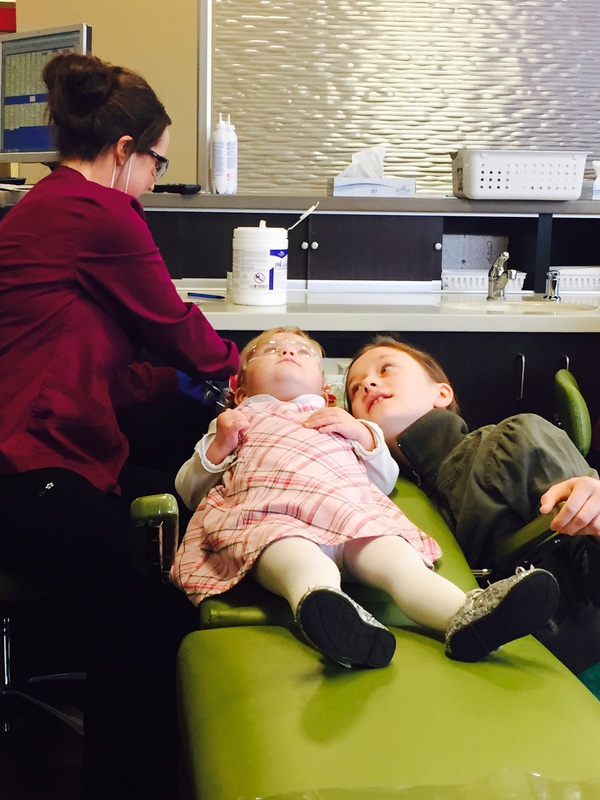 It is always a big undertaking to get all the kids to the dentist. 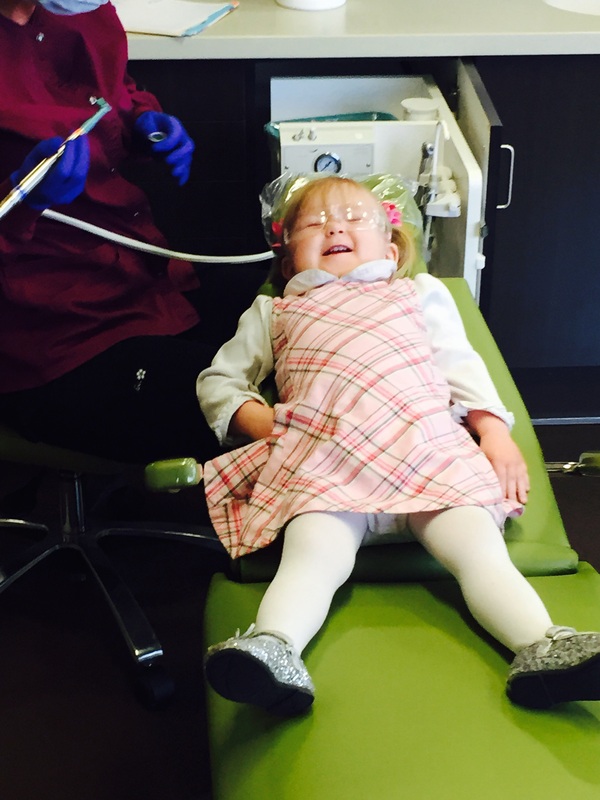 Hailey no longer attends the Children’s Choice, but the other 7 still do, and they schedule their checkups all at once. But we manage, it’s a good opportunity to see how the kids can behave as a group while we are all in the back and they are taking turns in the chair. 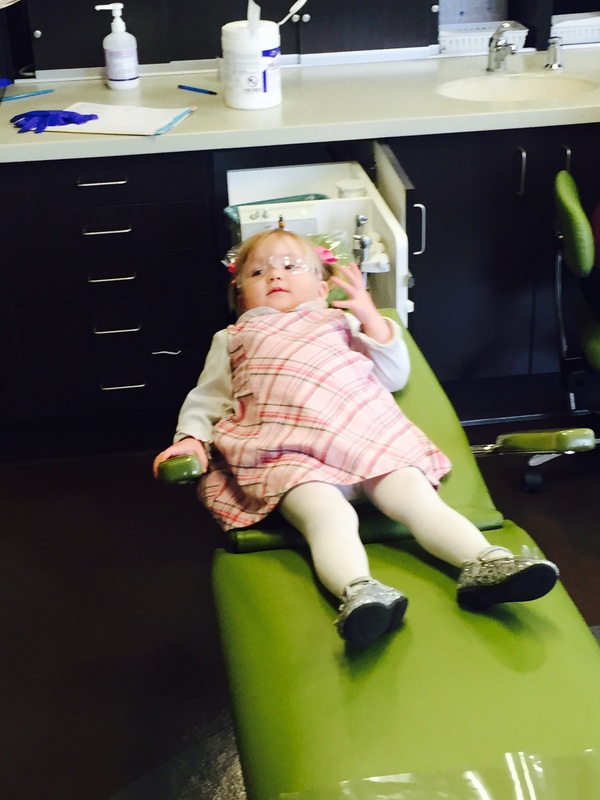 All the kids do really well, even Madeline, who, with some encouragement, opens wide and says AAHHHH! 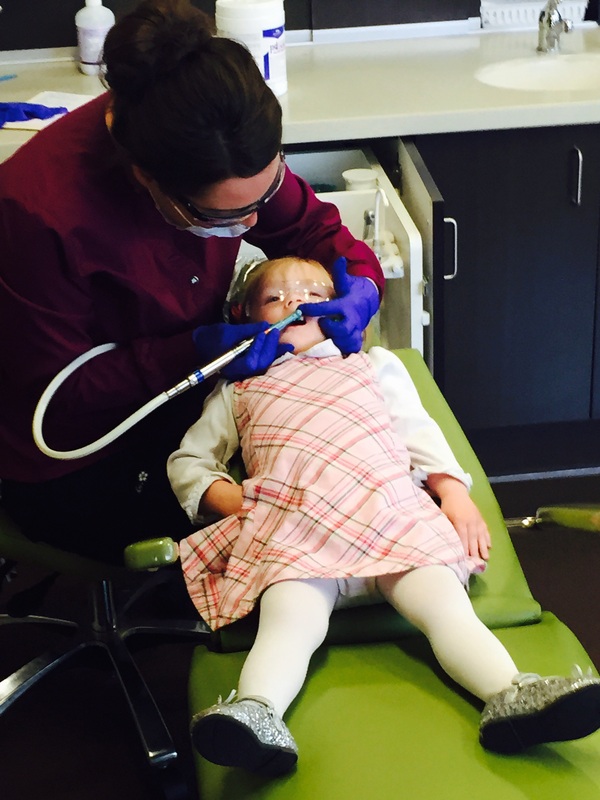 They were even able to put fluoride on her teeth this time! The shocker though, was Eva. 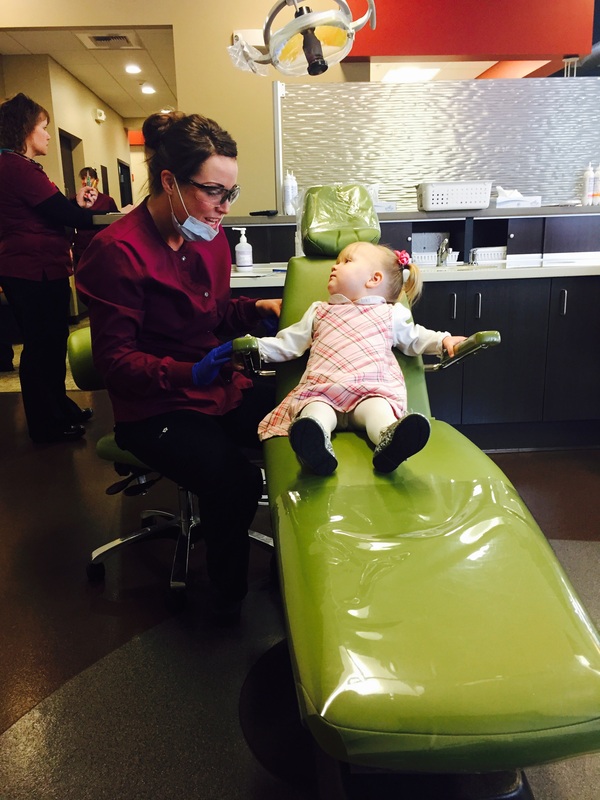 At 19 months old, Eva likes to brush her own teeth (so you can imagine how well they are getting cleaned), but refuses my help. Being so young, and not wanting to deter her from liking to brush her teeth, I have let that go. But today, and before she could watch her older siblings take their turns, she surprised us all. 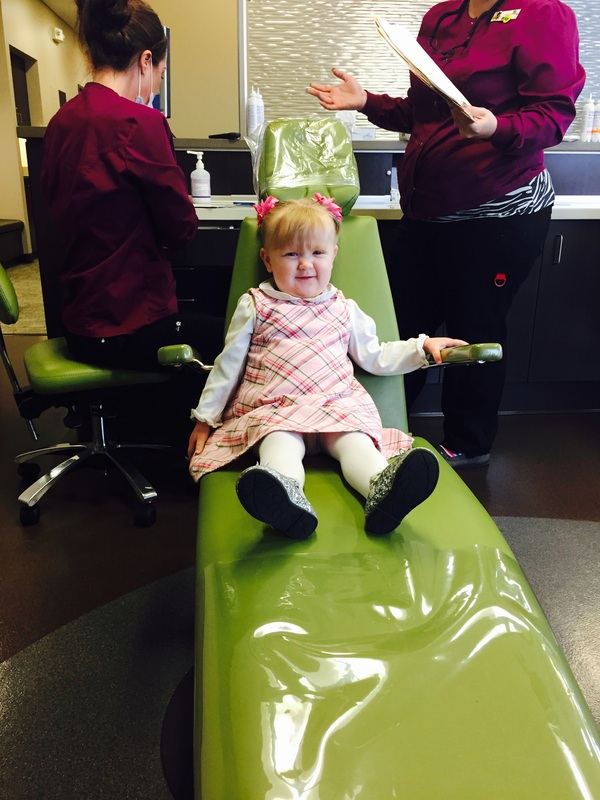 Not only did she want to sit in the chair, but she let the hygienist brush, floss, and paint her teeth with fluoride! 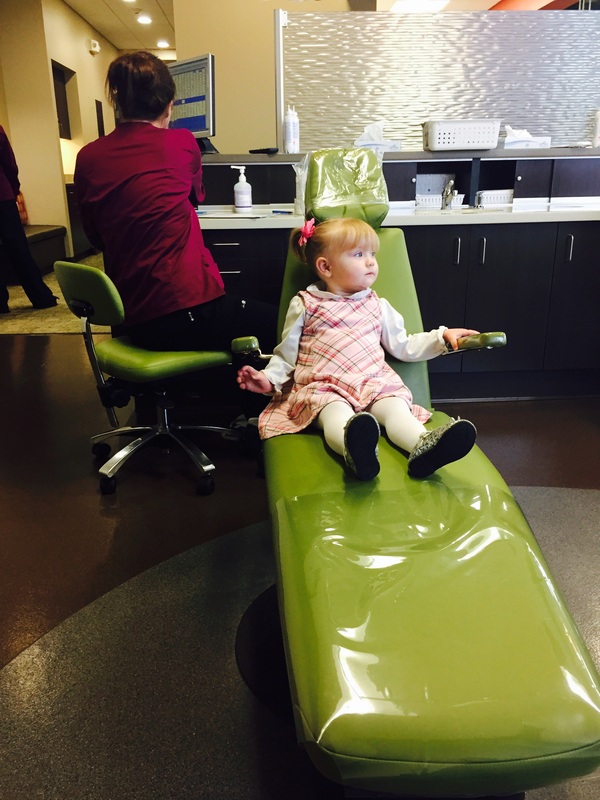 Then the Dentist came over and took a look, too! In fact, we had to then keep her out of the chair! Next > Happy Birthday, Clara!